Kristen Giancaterino, LAc, brings her extensive acupuncture experience and training in traditional Chinese medicine to each patient she sees at Total Health Physical Medicine & Rehabilitation Center in Florham Park, New Jersey. She is dedicated to treating the entire person and blends ancient healing practices with state-of-the-art technologies and treatments. Giancaterino earned her master’s degree in acupuncture from Pacific College of Oriental Medicine in New York City. To build on the treatments she offers patients, she became certified in Balance Method acupuncture shortly after. Since then, she has honed her specialties in pain management and traditional Chinese medicine. She blends her acupuncture treatments with health and nutrition counseling, cupping, and gua sha to ensure patients are getting the right care for their unique needs. Beyond treating pain, Giancaterino also works with patients who suffer from allergies, digestive issues, headaches, and infertility. 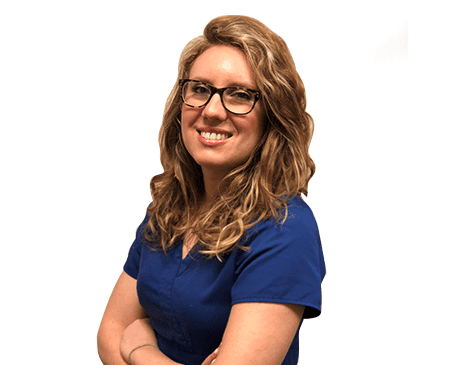 Blending her traditional healing training with the top-tier technology available at Total Health Physical Medicine & Rehabilitation Center, she is able to offer the best possible care to each of her patients. When she’s not helping her patients become their healthiest, you can find Giancaterino working on her own wellness through yoga, essential oils, and healthy cooking. She also enjoys traveling and spending time with her loved ones.